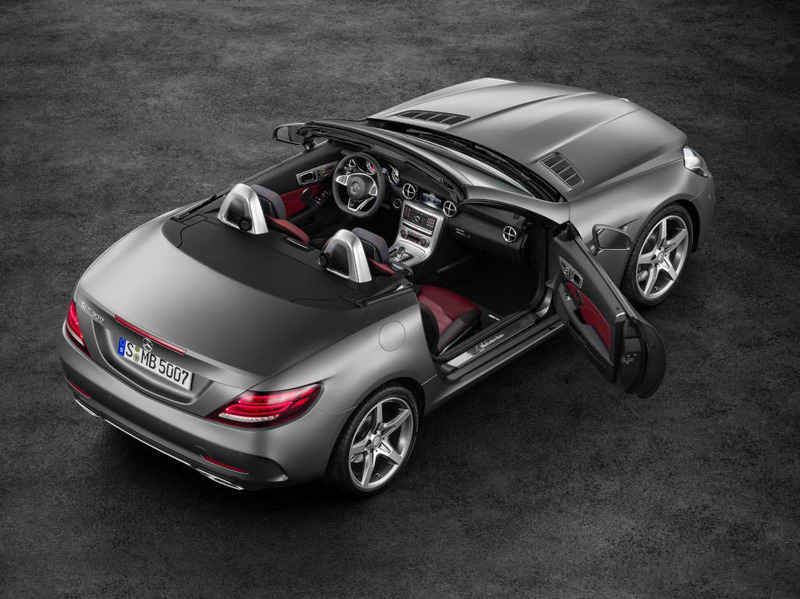 How Much Does the New Mercedes-Benz SLC Cost? Early this month, we have been graced by the unveiling of the all-new Mercedes-Benz SLC at the North American International Auto Show in Detroit. Both the standard and the full-badged AMG models were highlighted in the event. The successor of the SLK is definitely a sight to behold due to its curvaceous shape and striking lines. Add to those a decent 2.0-liter turbo four-cylinder or a powerful 3.0-liter biturbo V6, and you are in for a real treat. The car is definitely a must-have for Mercedes fans with a fat bank account. But how much does the car cost? According to UK’s Auto Express the starting price of the SLC range is £30,495. That will buy you the SLC 200 Sport with an output of 184 hp and 300 Nm of torque. All that power is distributed through a six-speed manual transmission gearbox. That propels the car from zero to 60 mph in just 7 seconds. The maximum speed of the car is at 240 km/h. It should be noted though that the said convertible model can be mated to a 9-speed automatic transmission gearbox to improve its drag. Based on Daimler though, the starting model of the range is the SLC 180 model, not the SLC 200. We will check on this later. The price of the SLC goes up to £46,355 without the optional packages from Mercedes-AMG. That amount will get you the Mercedes-Benz SLC 43 AMG. The SLC 43 possesses up to 367 hp and 520 Nm of torque within its twin-turbo V6 power unit. The car comes with the 9-speed automatic transmission system as a standard fitting. The mentioned factors let the auto sprint from zero to 100 km/h in just 4.7 seconds with a max speed of 250 km/h.